This home is located in heart of Harrogate. Within 3 miles of LMU campus, 6 miles to Middlesborro, KY. 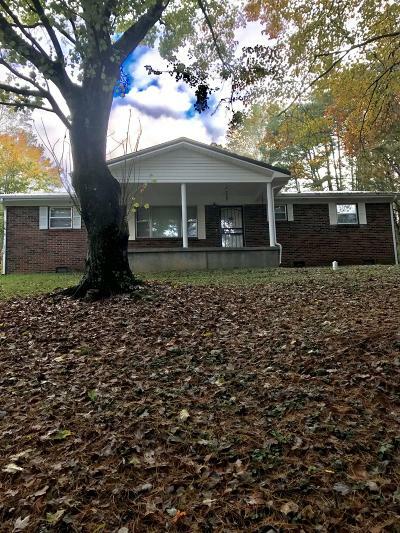 This is a 4 Bedroom, 1 bath home with updated bath, new carpet throughout home. Has vinyl windows, new tin roof and all new exterior doors. Home has a detached 3 car garage with a 2BR/1 bath apt that has its own septic, water and electric service with an extra lot fenced in behind the garage. This is ideal for 2 family living, rental income of apartment could offset mortgage payment. Looking for a rental investment then could potentially earn 1500.00 or more off property.